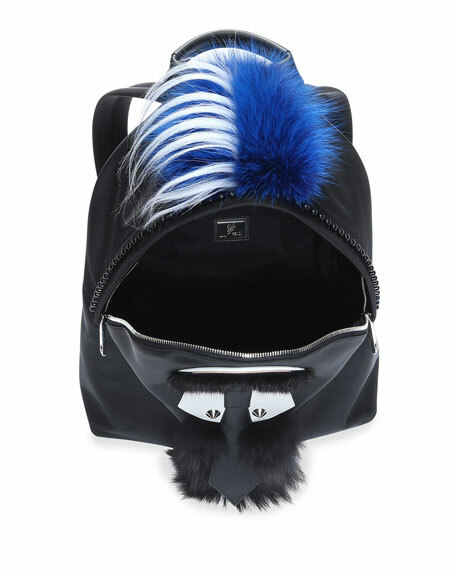 Fendi "Karlito" calf leather and fabric backpack with studded trim. Dyed mink fur (Finland), dyed goat fur (China), and dyed fox fur (Finland) mohawk at top. Adjustable fabric shoulder straps with leather details. For in-store inquiries, use sku #1856208.